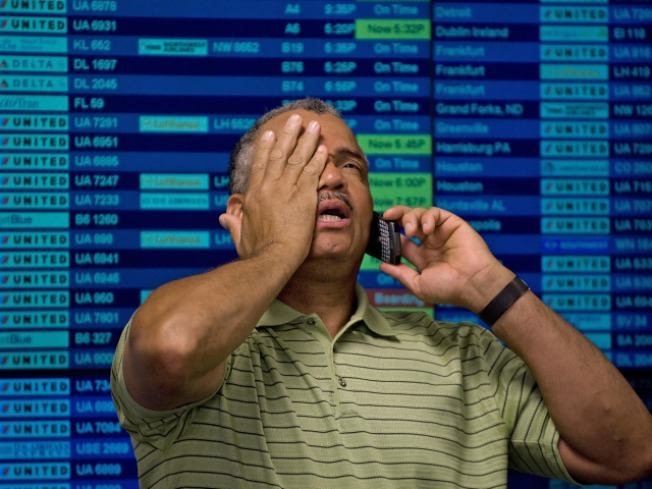 A unidentified man makes a cellphone call after checking the departures board and discovering a delay of a flight. For Angelenos returning home from Phoenix, we have one sound piece of advice for you: Avoid Southwest Airlines flight 2544. Flight 2544 was ranked as the No. 3 most delayed flight in October. It was late 92.31 percent of the time, according to the Air Travel Consumer Report released Tuesday by the U.S. Department of Transportation.